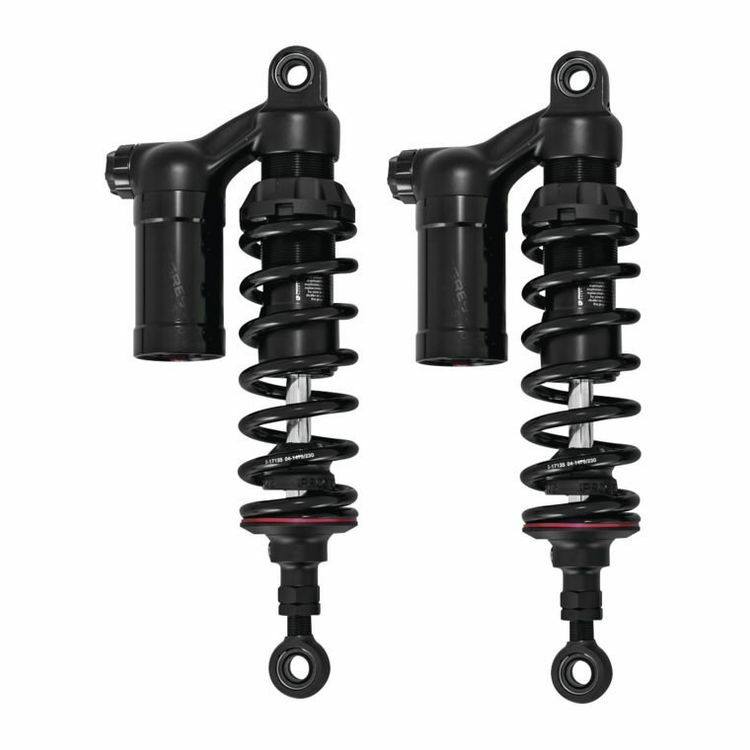 The 990 Sport Series shock features complete adjustability with a 0.4” adjustable height eyelet, rebound damping adjustment, high & low speed compression damping adjustment via easily accessible knobs and threaded, hand adjustable spring preload. The 990 features a high-pressure monotube with deflective disc damping routed through two unique circuits, delivering a consistent feel through the damper stroke for improved performance and stability. The intelligently engineered jounce bumper features a captured design to help smooth and control bottoming. Every shock is hand-built, tuned and dyno tested in Progressive's facility while also boasting a lifetime warranty. Engineered for aggressive, sport inspired riders, the 990 sets the mark for excellence on your V-Twin motorcycle. Depending on model, your stock shock length is 12" to 13.3"